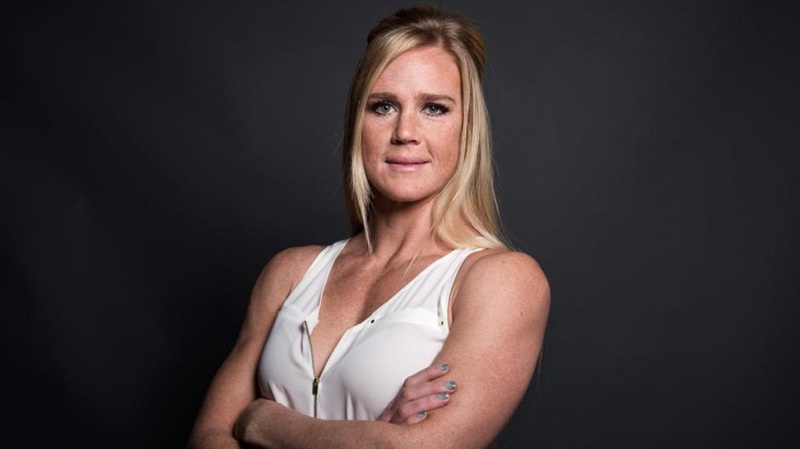 Holly Holm on fighting at bantamweight: "It's still home"
In her short tenure in the UFC, Holly Holm’s career has been consumed mainly of either competing in main or co-main events, and or fighting for championships from the time she debuted in the organization. Though she did not have the toughest path to get there, but with her experience and championship pedigree, it’s kinda hard to debate why she shouldn’t be there, it almost seems like natural her place. With all that being said, Holm will once again find herself to be in a position to fight for a championship this Saturday at UFC 225 when she faces fellow featherweight Megan Anderson in a #1 contender’s bout to earn yet another opportunity to capture the UFC women’s featherweight title from Cris Cyborg at a later date. Though she lost to Cyborg after putting up an gallant effort this past December while trying to win the featherweight belt, Holm still believes that the bantamweight division is her natural division as she told MMAFighting Friday at UFC 225’s Media Lunch. “I definitely feel like 135 is a little more my home,” Holm said. It may seem this fight is a very sudden return for Holm to contender’s status, but in Holm’s mind it was simply a major opportunity she couldn’t let slip by to once get a crack at the UFC women’s featherweight championship, regardless of how the fight fairs on Saturday she still insist’s on returning to the 135 pounds to have her next fight. With her intentions of fighting at bantamweight again clear, she desperately yearns for a potential rematch against Cris Cyborg for a chance to make UFC History as the only woman to beat both Ronda Rousey and Cris Cyborg, a feat that’d be a humongous feather in her cap should she able to accomplish it. For UFC fans, this is an enticing scenario for Holly Holm, but she 1st must get past Megan Anderson this Saturday not for all of this to be possible which will be no easy task by any means. Will Holly Holm defeat Megan Anderson at UFC 225? When do you think she’ll return to banatamweight?